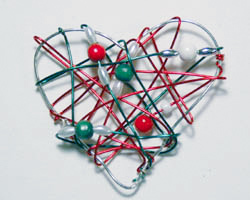 This wire ornament is a fun craft project to make, and a great way to use up extra pieces of colored wire. 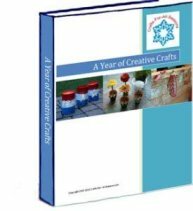 If you like to make jewelry, you will be good at this craft. 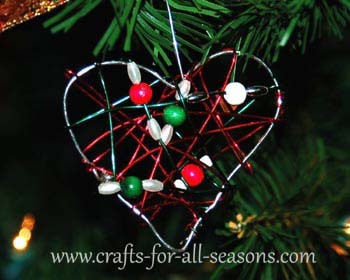 These ornaments can be made in any shape, using a cookie cutter as a template. I have found that stars, Christmas trees, and gingerbread men look great too. Sometimes I find I have extra wire left over from projects. This is a great way to use up some pieces you may have. 1. 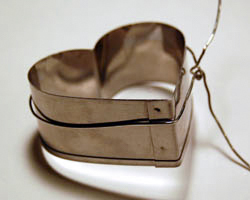 Begin the ornament by wrapping the 18 gauge wire around the cookie cutter shape, very tightly. Push the wire into any grooves to help mold it into the shape. 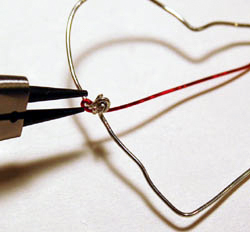 Using jewelry pliers twist the ends together to secure, then cut off the excess with wire cutters. 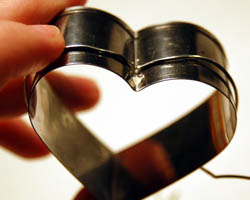 Remove the cookie cutter. 2. 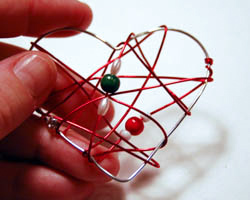 Beginning with the smaller gauge wire, twist it on the frame of the ornament using the jewelry pliers to secure. 3. 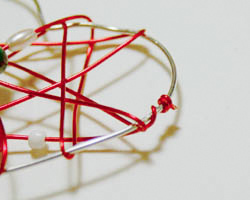 Begin to wrap the wire around the frame in various directions. Once in awhile, thread on some beads here and there for an interesting effect. 4. 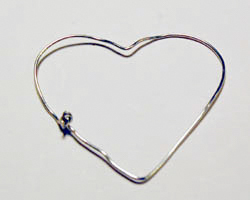 When you get to the end of the wire, twist it a few times around the frame of the ornament using the jewelry pliers, to secure. 5. 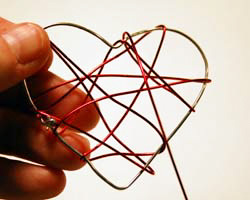 Repeat with other colors of wire, if you wish, securing it the same way. Attach a ornament hook or pretty ribbon for hanging on the tree.